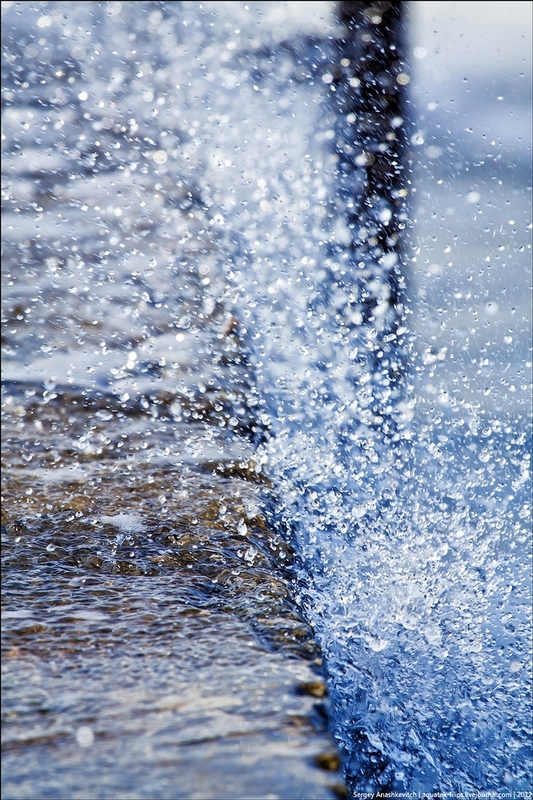 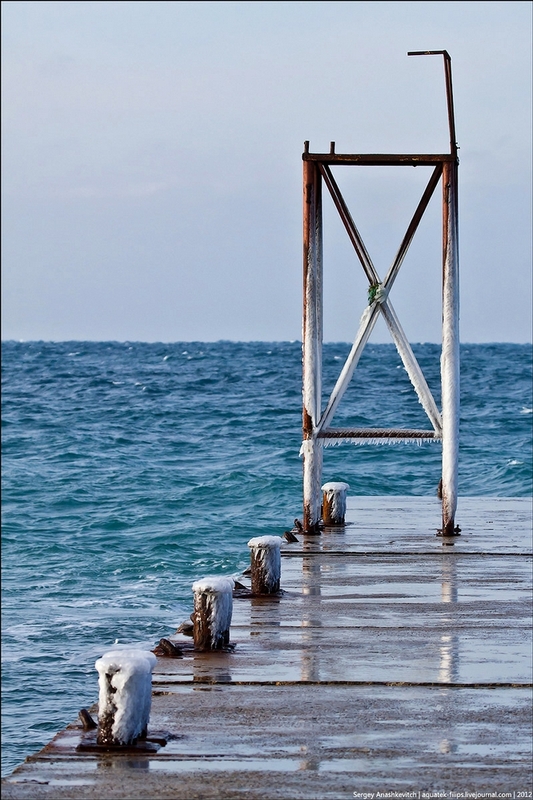 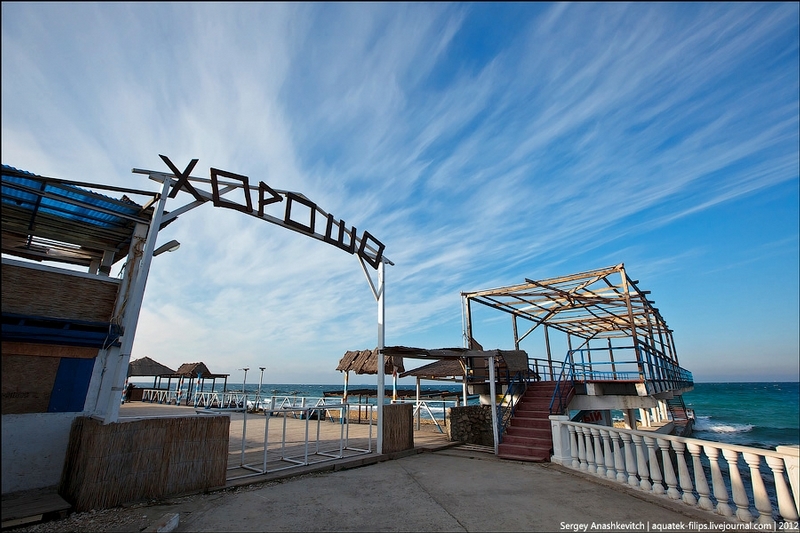 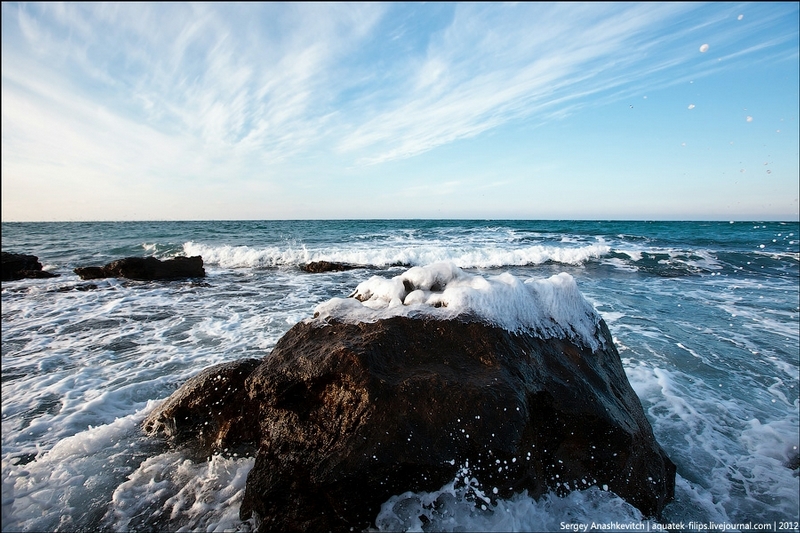 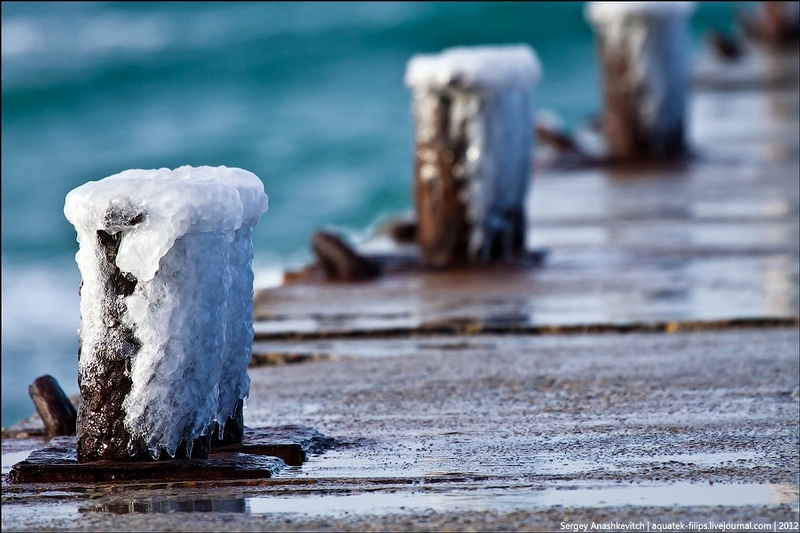 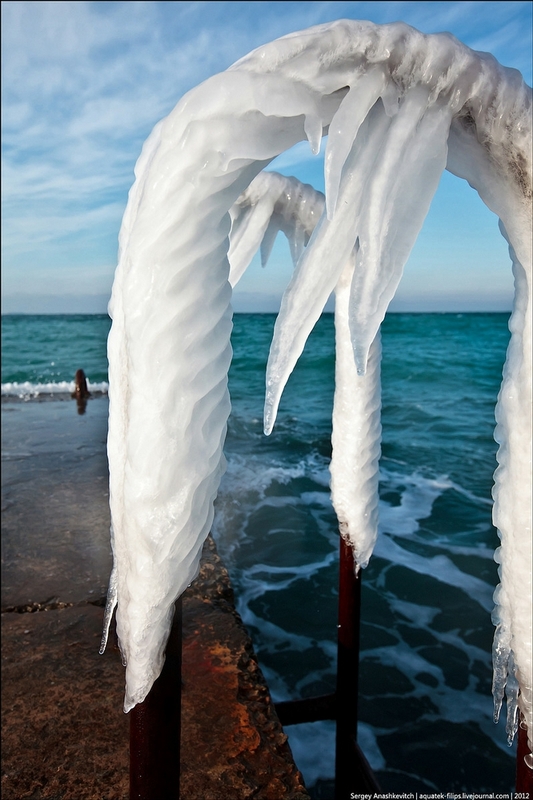 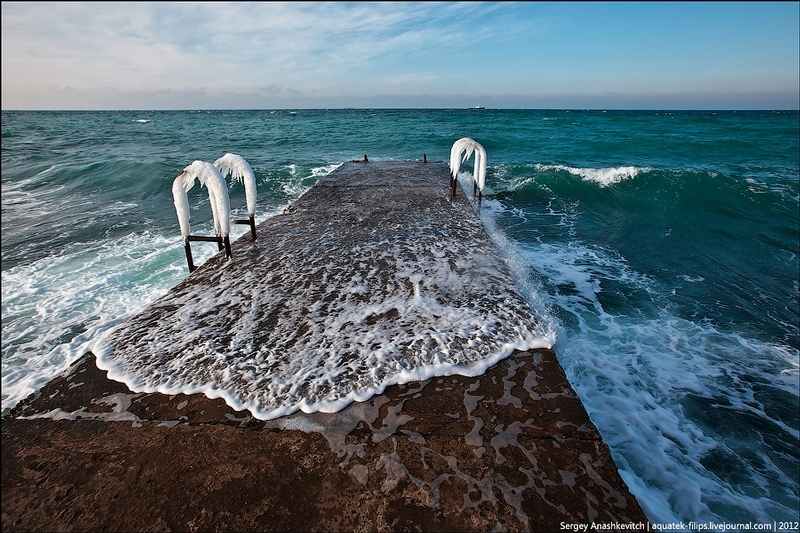 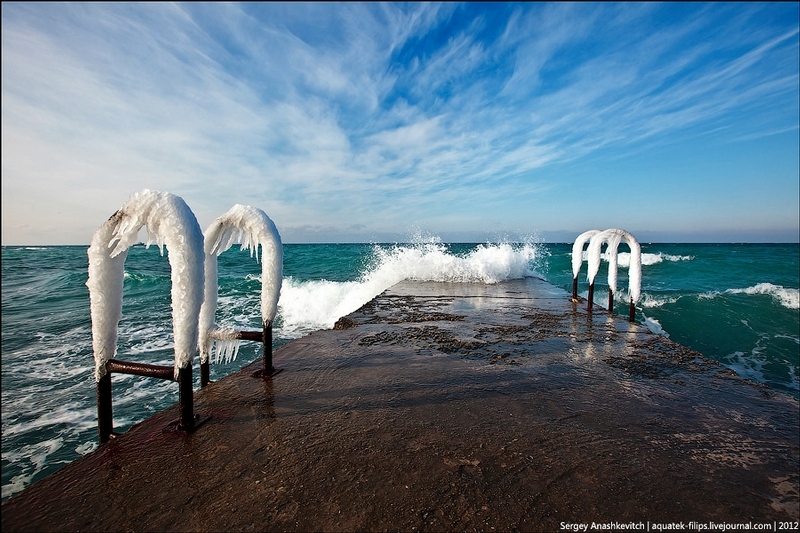 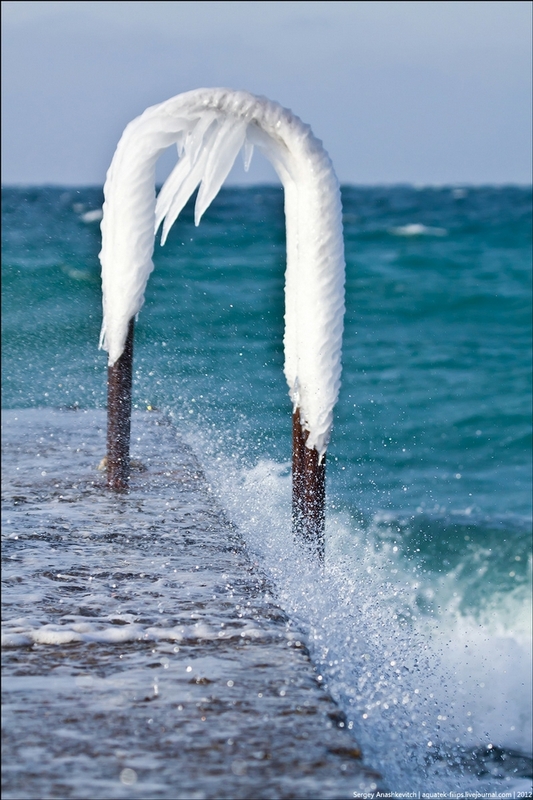 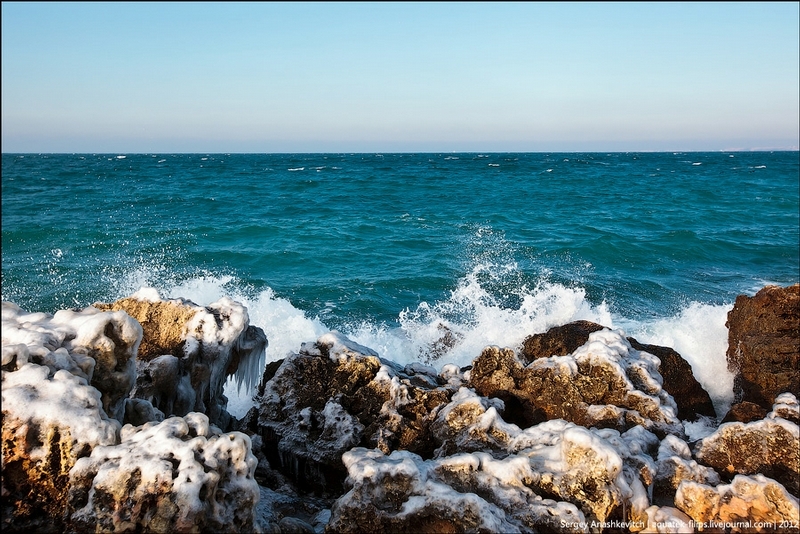 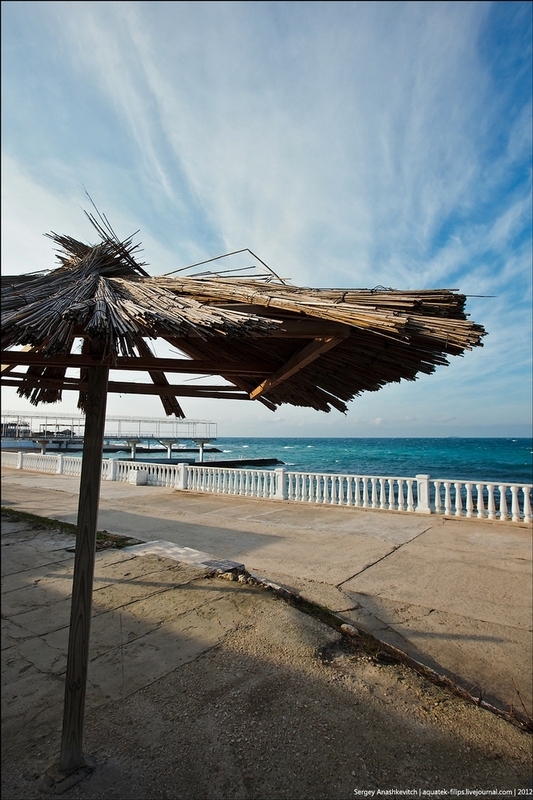 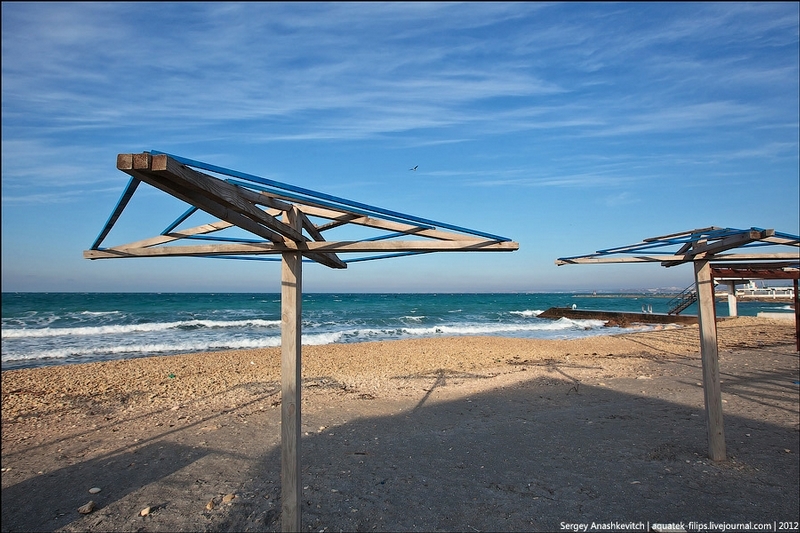 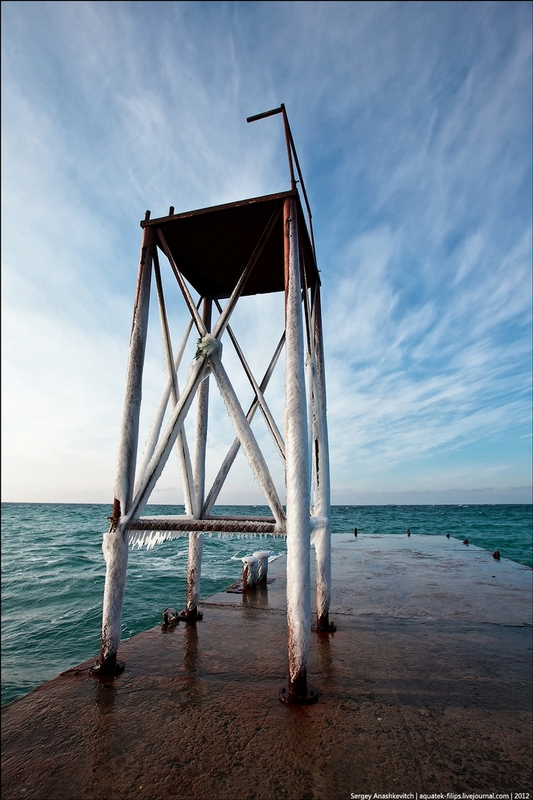 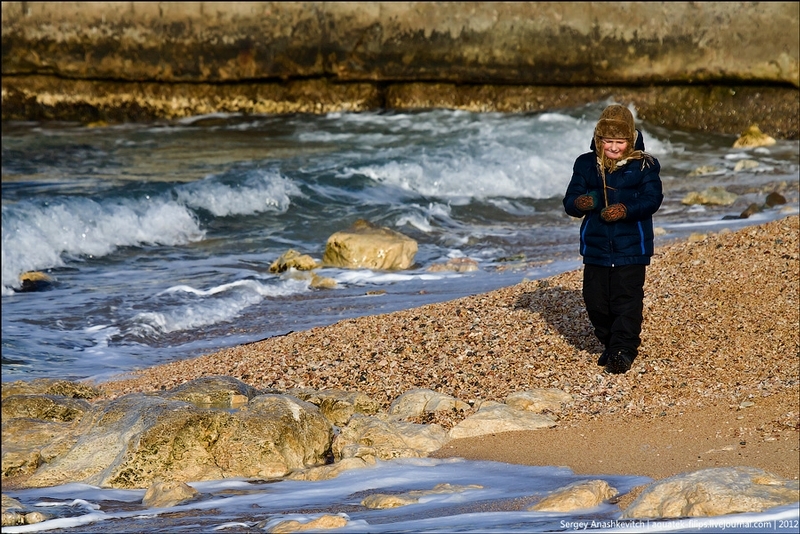 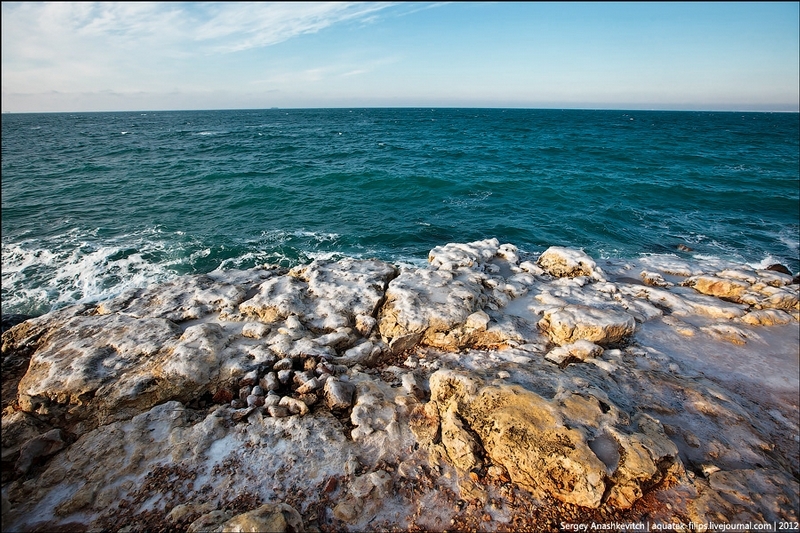 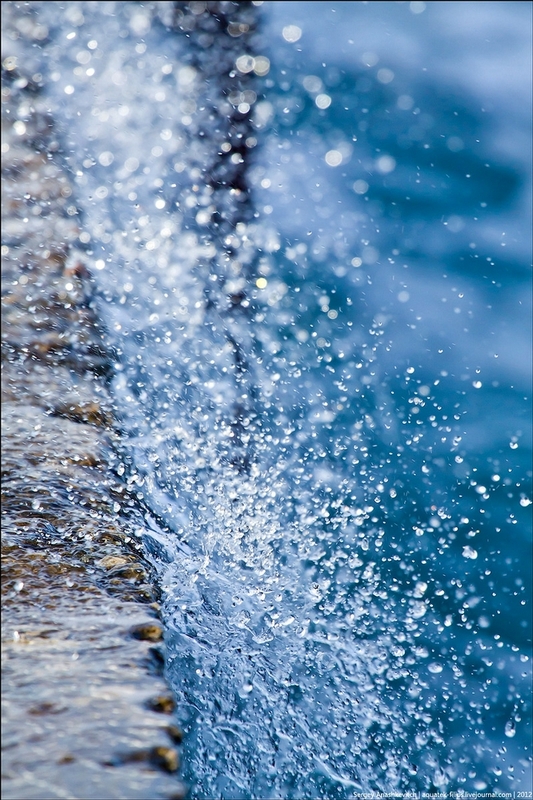 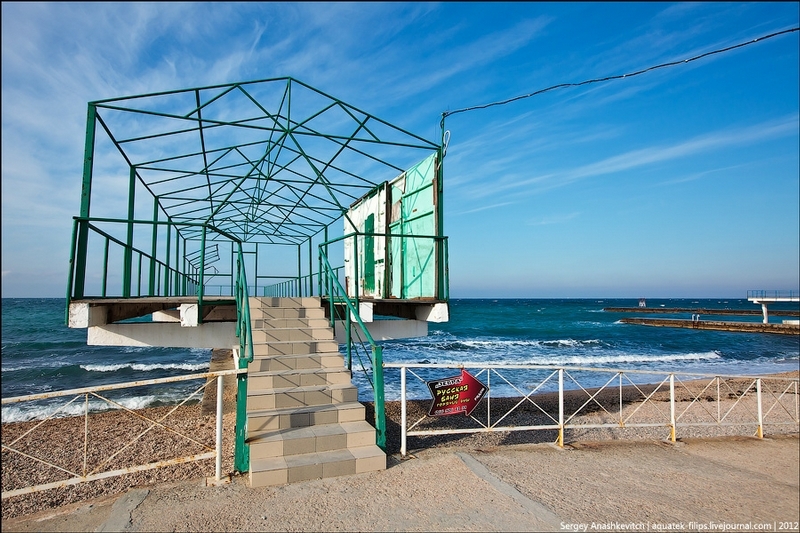 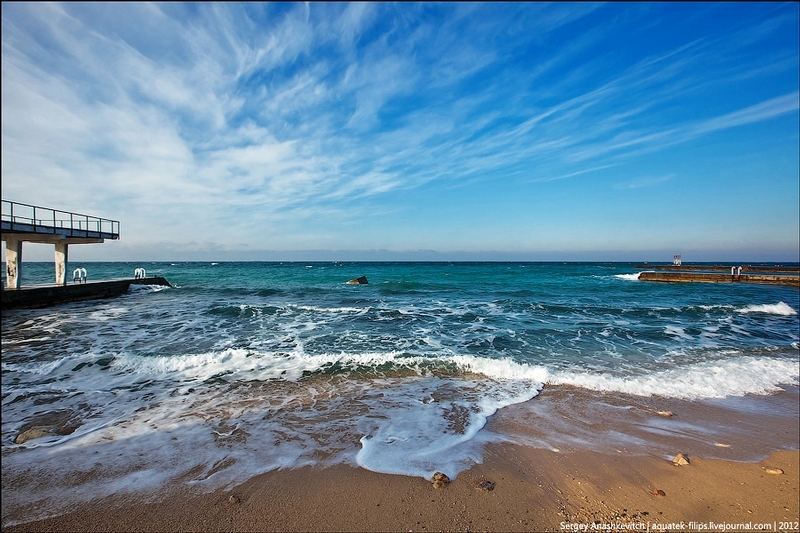 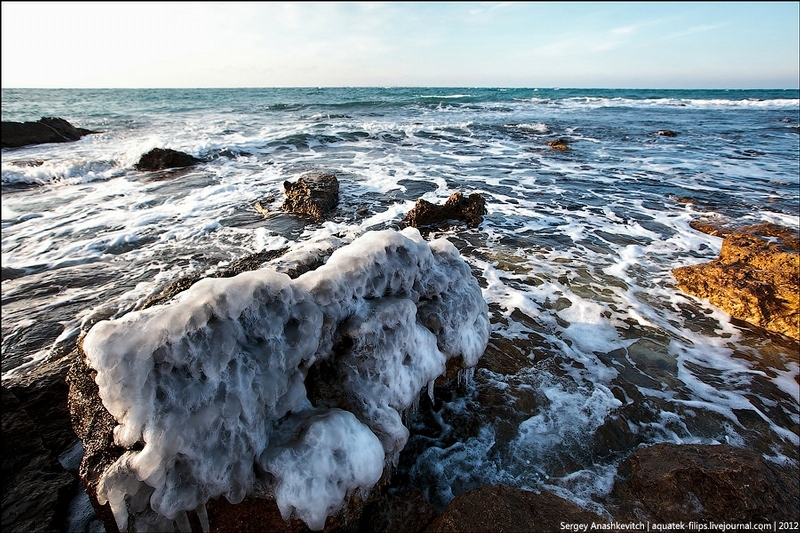 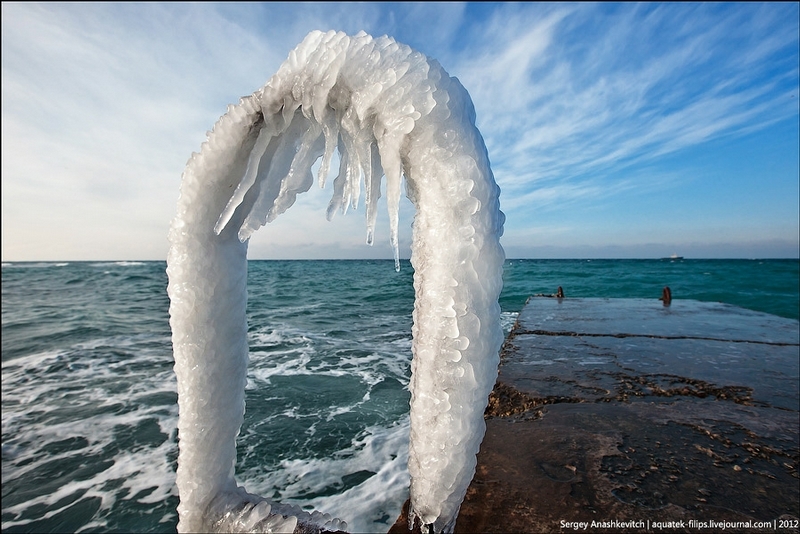 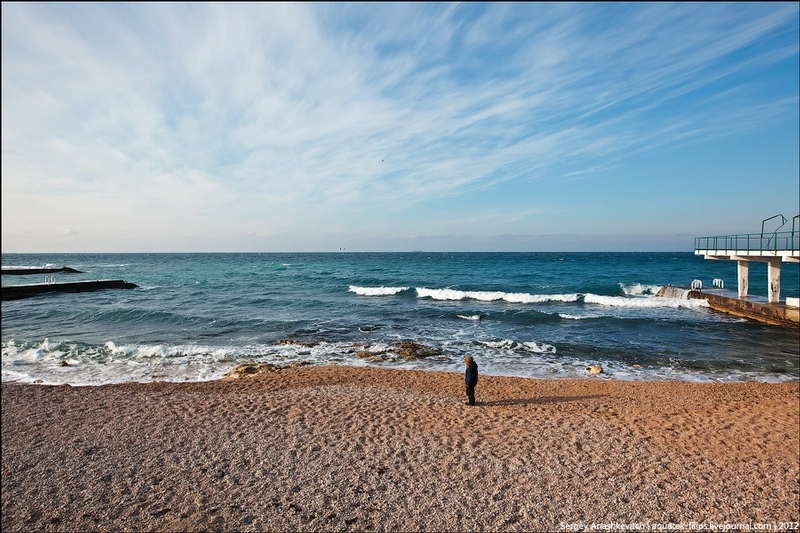 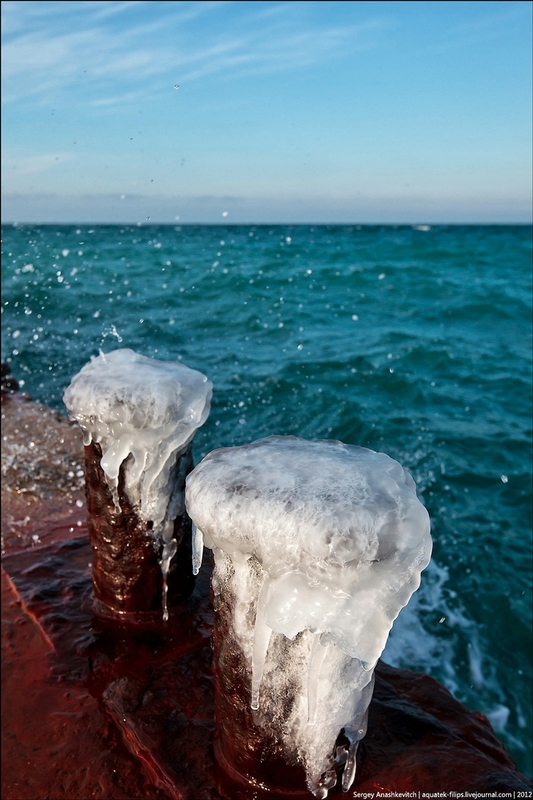 Weather remains changeable in the Crimea this January. 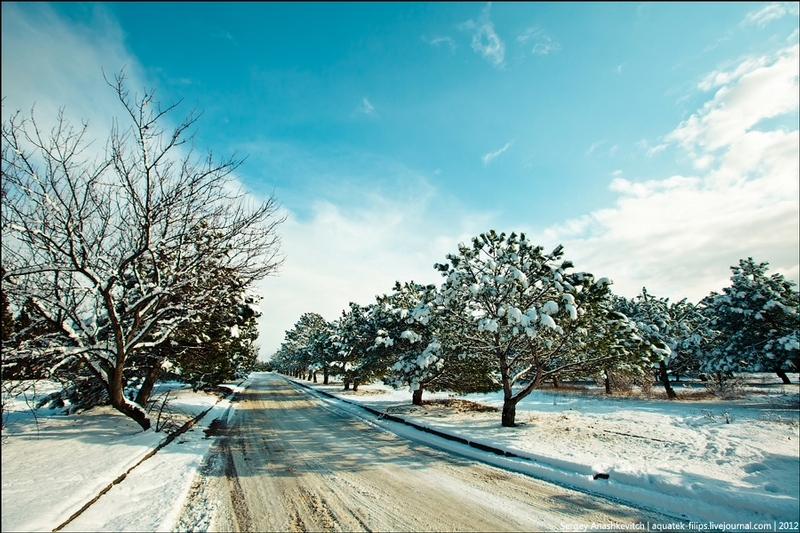 Flowers that started blossoming earlier in the month were covered with snow which later melted because thermometers showed +14C. 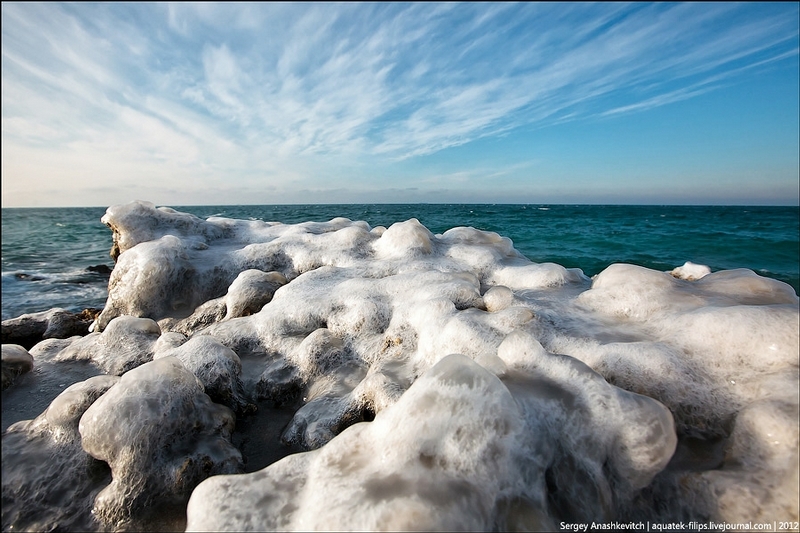 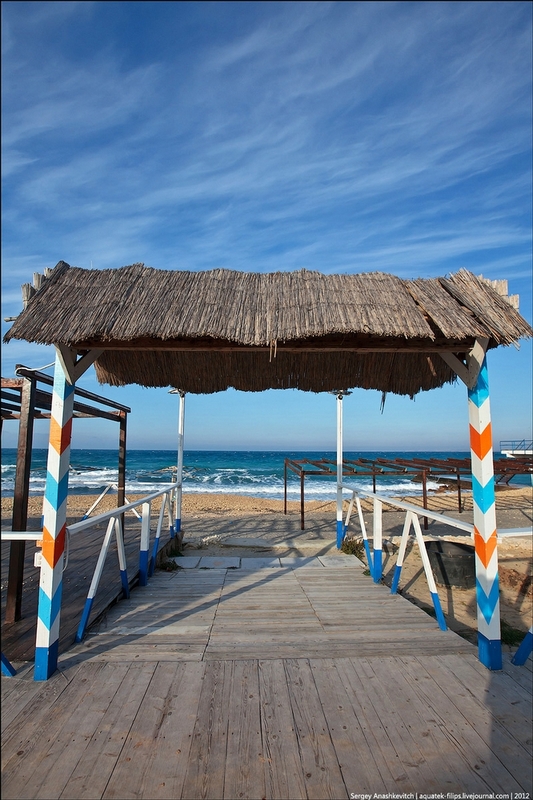 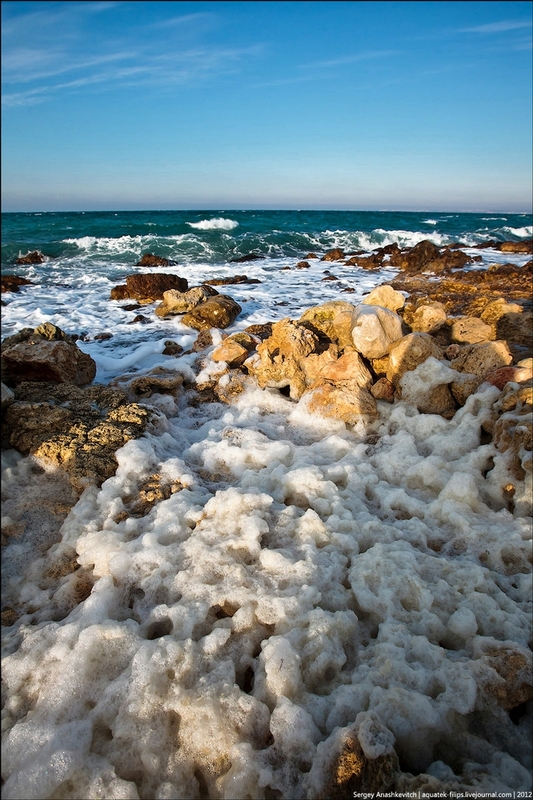 Last Friday, it was freezing again and that’s what the beaches of the area look like now. 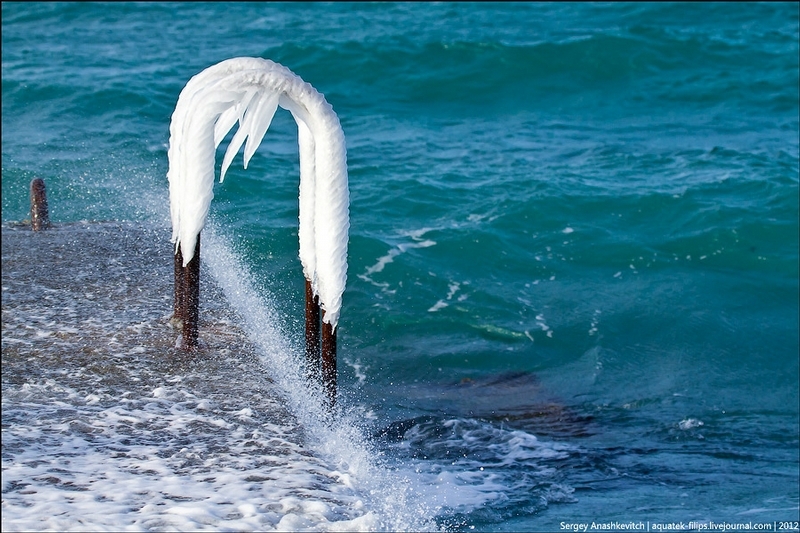 When it comes to beauty, nature is the greatest artist of all.